Kansas City is considering a law against street harassment of pedestrians, bicyclists and others. Up to Date host Steve Kraske discusses the proposed Kansas City ordinance with Kansas City Star reporter Mike Hendricks and city councilman John Sharp. Honking, cat-calls, projectiles and more get hurled at pedestrians and cyclists in Kansas City. The city council now is considering a law to crack down on that type of conduct. Councilman John Sharp is expected to recommend the ordinance at this week's council meeting. He and Kansas City Star reporter Mike Hendricks joined Steve Kraske on Up to Date Monday to discuss the details. For a story he wrote about the issue, Hendricks talked with Kayla Williams, a Kansas City resident who said she experiences harassment all the time as she walks to work on 39th Street. "She really enjoys walking down the street to work over at KU Med. She says two to three times a week she'll get hassled. It's usually in the morning, amazingly enough. There'll be someone (who will) come by and hoot and holler or yell at her and will startle her," Hendricks said. "There was one time, she said, where some guy just pulled up really quickly in his car and pulled into a driveway in front of her and stopped and so she had to go around the guy." According to Sharp, the proposed ordinance says, "no person shall, for the purpose of frightening or injuring any person riding a bike, walking, running or operating a wheelchair, throw something at them or direct a projectile at them or operate a vehicle at them or in their direction." That includes honking a car horn just to scare someone, shouting at them and making verbal or physical threats, he said. Other cities have enacted legislation like this, and Sharp pointed out several Kansas City used in shaping its proposed law. "We did look at the Columbia, Independence and St. Louis ordinances, and those did limit it to the same users that we specify in this. We wanted to try to mirror generally what they had, because we felt it'd be a little easier to get approval and also to get it upheld against any challenge," he said. Chris, a listener from Kansas City, Mo., called in to express concern about how police would enforce the law. Sharp said he'd consulted the chief of police, as well as someone who'd worked on a bike-share program. The latter he introduced to division commanders in the East Patrol and Central Patrol areas. Those are "where we've had reports of this kind of harassment so they were very aware of it and very supportive of it," Sharp said. "We talked to the city prosecutor to make sure he felt this was something he could enforce, and he did say he could." Some people have expressed concern about the law's effectiveness. "It becomes a 'he said, she said' sort of situation with eyewitnesses. I think that's what it comes down to ... in a lot of these cities, oftentimes a police officer has to see the behavior," Hendricks said. "I talked to folks in Columbia and St. Louis. Neither have ever had a prosecution over the last four or five years. It becomes a statement more than anything else." 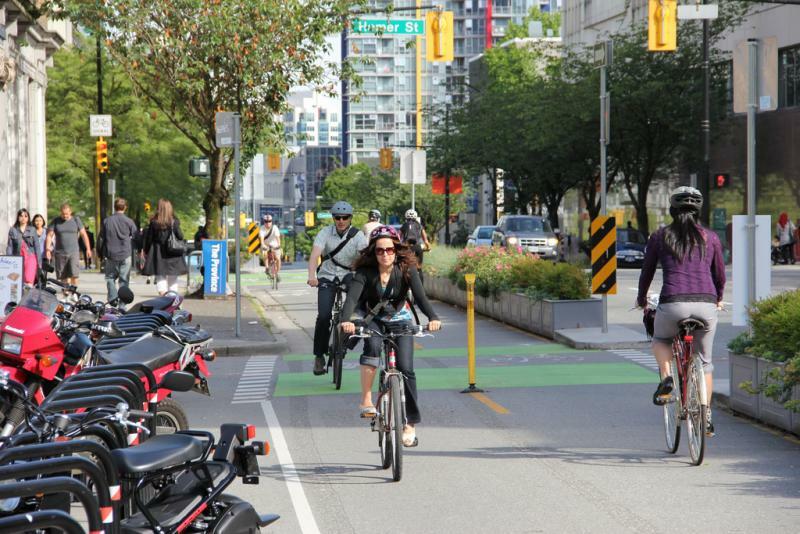 When you pull onto a street in a car, you have certain expectations. The road will be smoothly paved, with clearly marked lanes, and the network of streets will not end without warning, leaving you stranded before you’ve reached your destination. 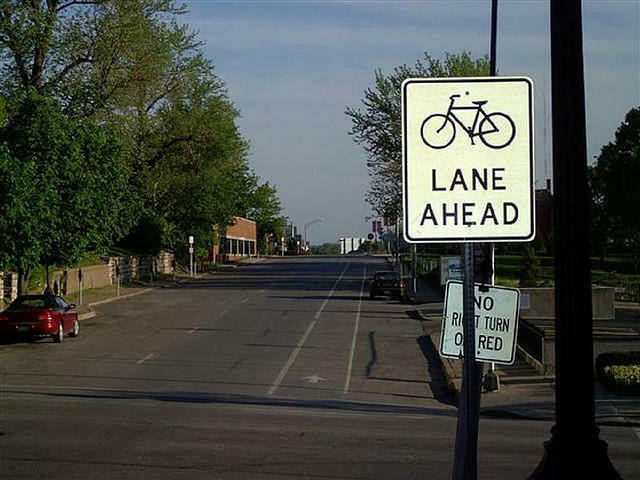 But, if you’re riding a bike in the Kansas City metro, finding a safe, continuous route can be challenging. Denesha Snell remembers the first time her cycling club rode through Swope Park and down the Paseo. 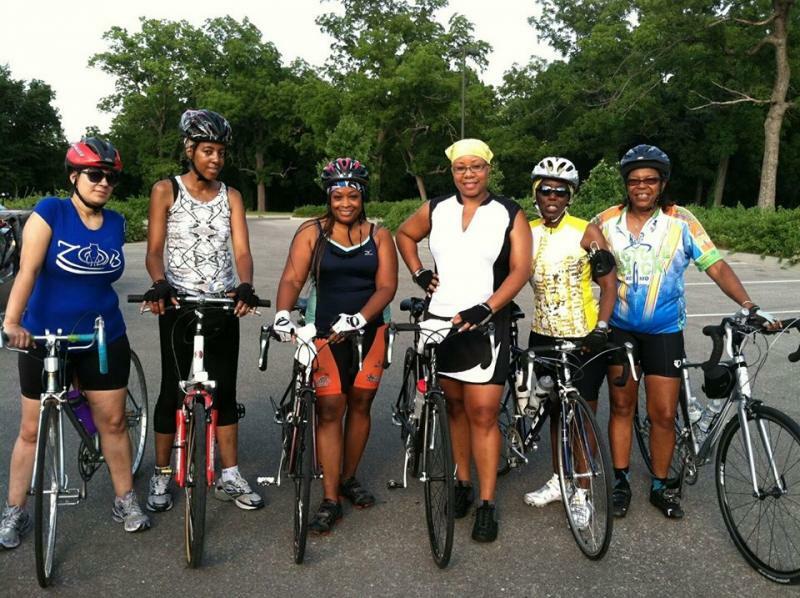 "There was a guy in the park, and he said, 'Somebody told me there was a bunch of black women on bikes.' And he didn't believe it. We rode past him, and his mouth dropped to the floor because he could not believe it," says Snell. "The myth is that we don't work out and we don't exercise."